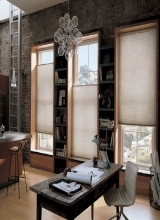 What are Pleated Shades? A pleated shade is a single layer of fabric material that is pressed into crisp pleats where the end result is an accordion looking material when viewed from the end. Our fabrics is made of 100% polyester and come in Translucent(Sheer Shade),Dim out,Flame Retarded and solar coating to block UV rays. 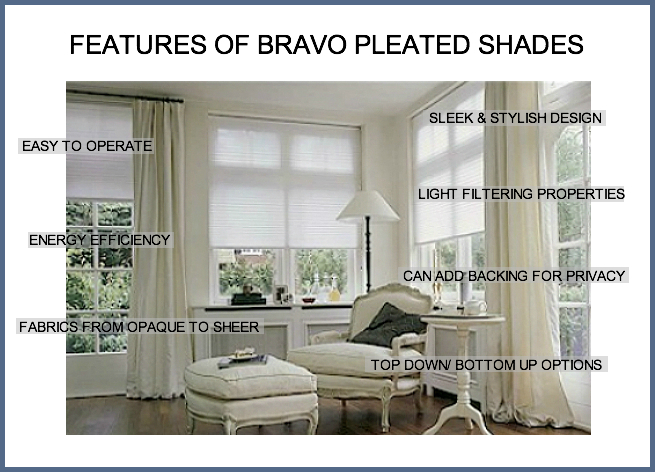 Beautiful accent to French doors.Bravo Fabric Pleated Shade Blinds are a wonderful choice to accentuate any decor!